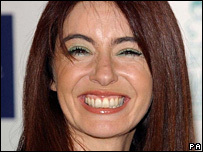 Singer Rod Stewart and percussionist Evelyn Glennie lead arts and showbiz stars in the New Year Honours list. 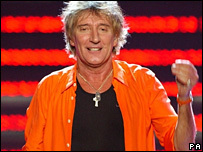 Stewart, 61, is made a CBE after 35 years at the top of the music industry. Glennie becomes Dame Evelyn in recognition of her remarkable career. Profoundly deaf, she experiences music by absorbing vibrations. Jazz pianist George Shearing is knighted at the age of 87, while actors Penelope Keith, Hugh Laurie and Johnny Briggs are also honoured. Born blind, Shearing became a star in the UK in the 1940s and moved to the US after World War II. He has collaborated with the likes of Nat King Cole, Peggy Lee and Mel Torme. There is also a knighthood for biographer Michael Holroyd, whose four-part work on the life of George Bernard Shaw was published between 1988 and 1992. Actress Penelope Keith, best known for her roles in sitcoms The Good Life and To the Manor Born, becomes a CBE, as does the author of the No 1 Ladies' Detective Agency books, Alexander McCall Smith. Director Peter Greenaway, whose work includes Prospero's Books and The Cook, the Thief, His Wife & Her Lover, also becomes a CBE. 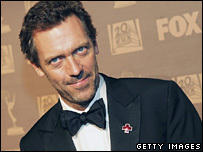 Actor and comedian Hugh Laurie is made an OBE after hitting success in the US with TV series House, while fellow actor Johnny Briggs becomes an MBE after leaving Coronation Street, where he played Mike Baldwin for 30 years. Presenter June Sarpong is made an MBE for services to broadcasting and charity. The 29-year-old is best known for hosting Channel 4's T4 strand of youth-oriented morning programmes, for which she interviewed Tony Blair last year. Elsewhere in broadcasting, tennis commentator John Barrett is made an MBE, as is BBC correspondent Brian Barron and entertainer Owen Money, a presenter with BBC Radio Wales for nearly 20 years. Former Ofcom boss Stephen Carter becomes a CBE. In classical music, pianist Imogen Cooper is made a CBE, along with composer and conductor John Rutter. Fellow composer Guy Woolfenden becomes an OBE. Christopher Logue - who won the Whitbread poetry award in 2005 with Cold Calls - becomes a CBE, as does biographer Hilary Spurling, who won the overall Whitbread prize earlier this year for her two-volume biography of Matisse. In the world of theatre, London's Old Vic theatre chief executive Sally Greene becomes a OBE, as does director Steven Pimlott. Two stars of folk music are also honoured. Scottish singer and broadcaster Archie Fisher is made an MBE, along with English writer and singer Shirley Collins.